At SMSZone we understand there are times when we wish to broadcast messages. 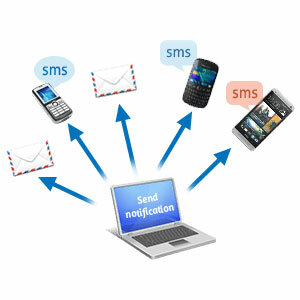 SMS To Group is one such feature which can be used in to send one message to multiple recipients in various ways. What is SMS to Group ? At SMSZone you can upload your phone book and categorise members in various groups. One member can be multiple group. Ex: Friends Group, HNI Group, Family Group, Bussiness Partner Group and so on. A group can have unlimited members. How to send message to Group ? There are multiple ways in which you can send SMS to groups. Following are options. a) Using Phone with SMS: Type RH < groupname > < yourmessage> and send it to 8080712121.
b) Using Phone with App: Open Home Screen, Select Add Contacts, Search and Select your group(s), Type Message and press Send. c) Using Email : Send email to groups@smszone.in. Your subject should have your username and password in following format (username#password), In body type groupname followed by a colon and then your message. Visit emailtosms page for more detail. By MobilType You can send message SMSZone can be accessed from your mobile, there is an app on Google Play (Its Free to Download) with few additional features that can all be accessed from an Android App. We are soon planning to offer other mobile variants. With this app you also get SMS Backup, SOS for emergency location tracking alerts and many other features. .